The majority of Americans (53%) now say that marijuana should be legalized, up from just 12% in 1969. Is it legal to fire someone for using medical marijuana? When Is It Legal to Fire a Medical Marijuana User? Medical marijuana use by employees presents a potentially thorny legal question. On the one hand, marijuana is still classified as an illegal drug by the federal government and in most states and cities. On the other, medical use might imply that the question is one of disability discrimination — a stance many employers rightly do not want to take. The Colorado Supreme Court recently offered one potential answer. The court recently considered a case involving a former phone operator employed by Dish Network. The former employee used medical marijuana to treat the painful muscle spasms he suffers after experiencing serious injuries in a car accident. When his drug test came back positive for marijuana in 2010, the company fired him, citing its zero-tolerance drug policy. The former employee then sued the company for wrongful termination, arguing that his medical marijuana use was legal under state law and that, therefore, the company could not punish him for it. The Court, however, disagreed with the former employee. While Colorado state law does prohibit employers from firing employees for “engaging in lawful off-duty activities,” the court noted, medical marijuana use is not legal under federal law — so drug policies that terminate employees for medical marijuana use can do so on the grounds that it is illegal activity. Currently, states appear to be split on the medical marijuana question when it comes to employment. Colorado, California, Oregon, Montana, and Washington all have court rulings on the books that allow employers to uphold federal law in their drug policies and terminate employees who use medical marijuana. By contrast, Arizona, Delaware, and Minnesota have specific laws that prohibit employers from terminating employees solely for medical marijuana use — but all three states do allow employers to terminate any employee who is impaired by medical marijuana use while on the job. Know which rules apply. If your state has no laws or court cases on the issue, it is generally safe to follow federal law in creating your drug policy — and thus to treat marijuana use as illegal activity. In some jobs, such as commercial truck or bus driving, specific federal laws apply to drug use and drug testing, independently of any state law. Make sure you know what the state, federal, and local government’s demands are before updating your drug policies. Focus on safety. No matter how friendly a state’s laws are toward medical marijuana use, all states currently allow employers to terminate employees if their marijuana use jeopardizes their own safety, the safety of other workers, or the safety of customers or clients. Companies are also not required to tolerate the use of marijuana in the workplace, even if safety is not an immediate issue. Understand how testing works. Unlike many drugs, marijuana stays in the body for weeks or months after a person has last used the drug. This means that urine or hair tests, while useful for identifying past marijuana use, are far less reliable for determining whether a person has used marijuana recently — or was impaired at the time a particular accident occurred. Create a policy that calls for more thorough clinical testing after any accident, and have an independent licensed medical review officer check lab results before taking adverse action against an employee. Talk to a lawyer. Consulting with an attorney at every step of the process can help your company create a policy that meets your business needs and complies with applicable law. 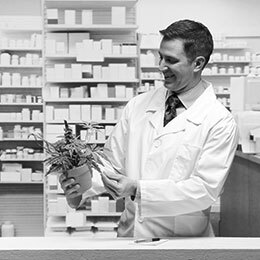 When you’re thinking about how to write or revise a drug policy for medical marijuana use, your staffing partner might not be the first assistant who springs to mind. 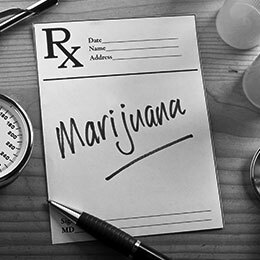 Working with a staffing firm, however, can help your company avoid ever having to implement its medical marijuana policy. Your staffing partner can help screen candidates, identifying individuals whose drug use records are clean. Furthermore, when you need temporary or contract help with a particular project, your staffing firm acts as the employer of record — which includes responsibility for drug testing and for creating and implementing appropriate drug policies. While a staffing firm is not a substitute for a workplace drug policy, your staffing partner can do much to help your organization find the right candidate for every job.